Too often when something is so close to where you live you don’t ever think to go. I have seen this to be true all over the world and I have to admit I haven’t explored Victoria to an extent to consider it justice. Living in Australia we have some of the most beautiful coastlines, in the world. Growing up on the water as a nipper and surf lifesaver I visited nearly all of the Victorian coastal towns, both inside and outside of the bay for carnivals. Although I had been to them all before I had spent most of my time either on the sand, in the water or at a caravan park with the rest of the club. A little further along the Great Ocean Road you eventually reach The 12 Apostles, an eroded natural phenomena. I had visited this site once before when we were showing relatives from Italy around Australia…go figure we only went when there were tourists to show who had come all the way from Italy. A week before I left Australia we spontaneously flew to Sydney to visit family friends and I took the opportunity to visit Circular Quay and see the bridge and opera house yet again, because for me regardless of how many times I have been, a trip to Sydney is never complete without a visit to the harbour. 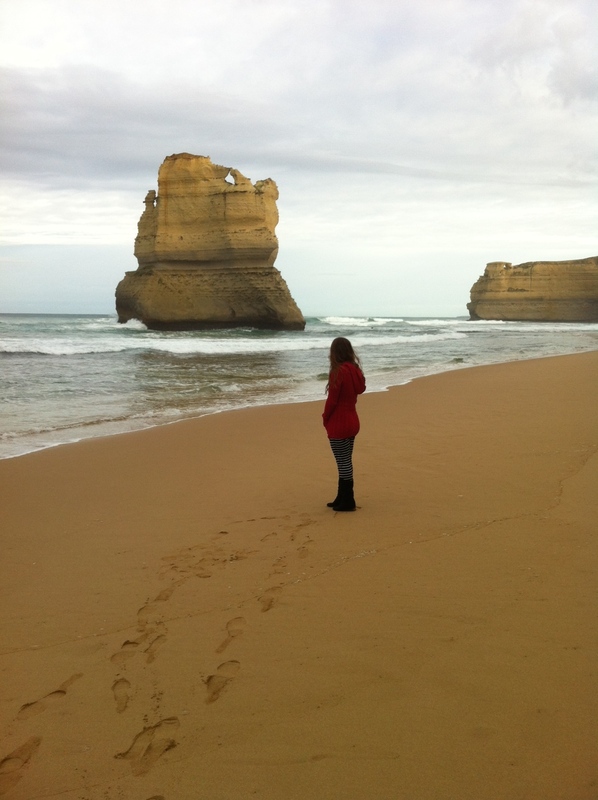 I also saw it as an opportunity to soak up a little piece of Australia before I left for however long. With just over a week until I left I decided that if I had just seen New South Wale’s highlight then I had to do something special in Victoria as well…and my answer? 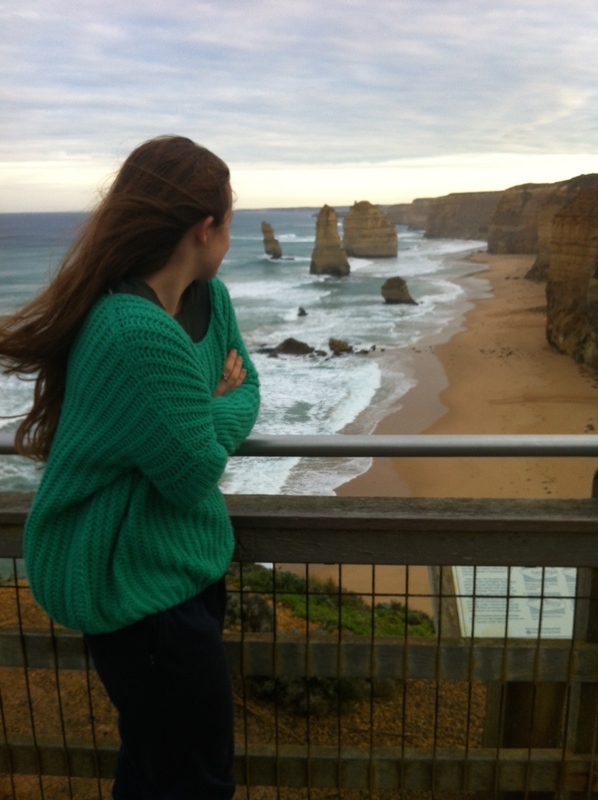 A Victorian coastal road trip along The Great Ocean Road to see The Twelve Apostles! It’s an easy enough drive and with your own car you have the freedom and luxury of being able to town hop your way back along the coast all the way to Melbourne. We drove down in the afternoon and spent the night in Port Campbell. Waking early as the sun streamed through the window we drove back down towards The Twelve Apostles where due to the early hour and fact that it was the middle of winter we had the place entirely to ourselves! Although all 12 of them are no longer standing the remaining ones are an incredible sight to behold. The viewing deck provides a fantastic view but if you wander a little further down the coastline you can descend the stairs and walk along the beach beside one of them. Town hopping back along the coast our first stop was breakfast at a road side cafe in a secluded section of Grand Otway National Park. The drive itself is beautiful as winding corners give way to ocean views that span for kilometres! The road runs between the ocean crashing in waves on one side and quaint farm style houses situated in green hillside paddocks on the other, broken only by roundabouts leading into coastal towns at regular intervals. From Apollo Bay we continued on to Lorne driving up a hill before grabbing a coffee and attempting to have lunch. Due to the temporary closure of Bottle of Milk, a cafe in Lorne that does amazing burgers (so I was told) that we just “HAD” to stop at for lunch, we continued on past Aireys Inlet, Anglesea, Bells Beach and Jan Juc to Torquay where there was a second cafe. I’ll admit it was a really good burger and worth the wait. Cutting the corner to the heads we drove through Geelong back to Melbourne. These towns that are usually overrun with tourists and holiday goers during the summer months were perfectly tranquil quiet seaside towns in the middle of June. Safe to say it was a nice way to say goodbye to Victoria and Australia. It’s a shame that we often don’t think to explore the place we live in when there is so much to be discovered and appreciated. We only had 24 hours and a limited budget to do the trip with [because I was saving for Europe] which was fine – a combi van would have been more comfortable to sleep in but we managed. With more time and a little extra cash flexibility the area can easily be enjoyed taking as much time as you like along the road, enjoying the luxury of B&B’s, Motel rooms or even renting a house.